The morning of my birthday was misty and drizzling with rain. 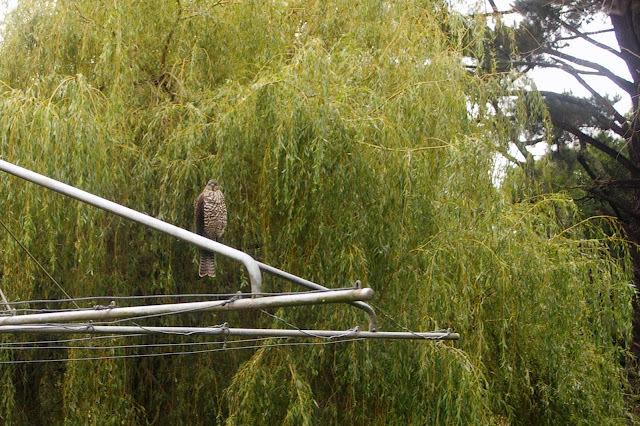 We peered through the window to see this beautiful creature upon our clothes line. 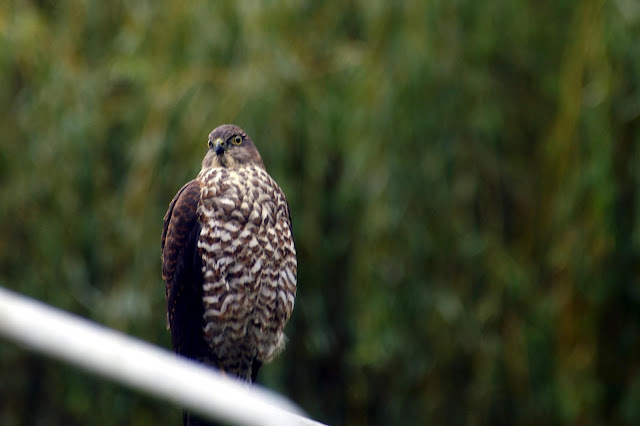 We often see Peregrine Falcons flying in the gully down the road, but never one so close to the house. It sat there for a good fifteen minutes before flying off to join it's friend. I felt very lucky to witness such an amazing creature so close. It sure beat the Brown Snake encounter we had a few days earlier, just five metres from our back door! Needless to say, I didn't get a photo of the Brown Snake. What creatures visit your place? Are they furry, feathery or scaly? I hope there's not too much of the scaly variety. Wishing you a happy LOVE day too. May we all count our blessings to have peeps to love and peeps who love us. When I go out berry picking I always say to bren that if I see a snake we are moving back to Caulfield. Ugh! Hate them. Luckily they're staying out of sight so far this year. 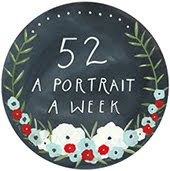 And a huge happy thirtieth to you for last week.